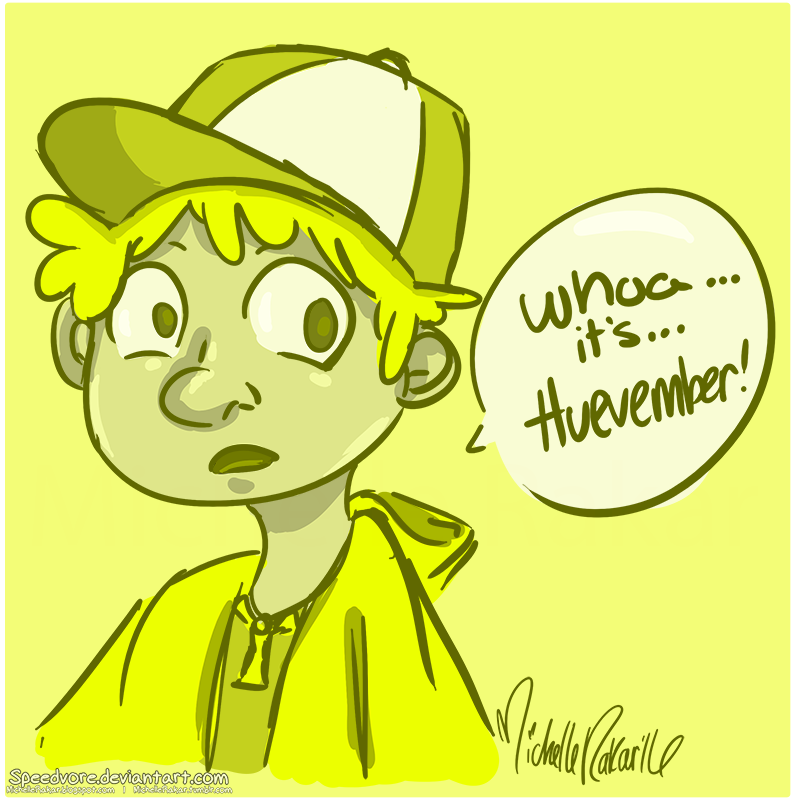 Michelle Rakar's Art Cave: Beginnings of Huevember! 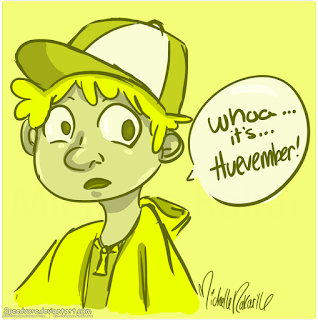 Sooo since November started, I've been doing Huevember! My plan is to do some kind of digital doodle for it every day this month. 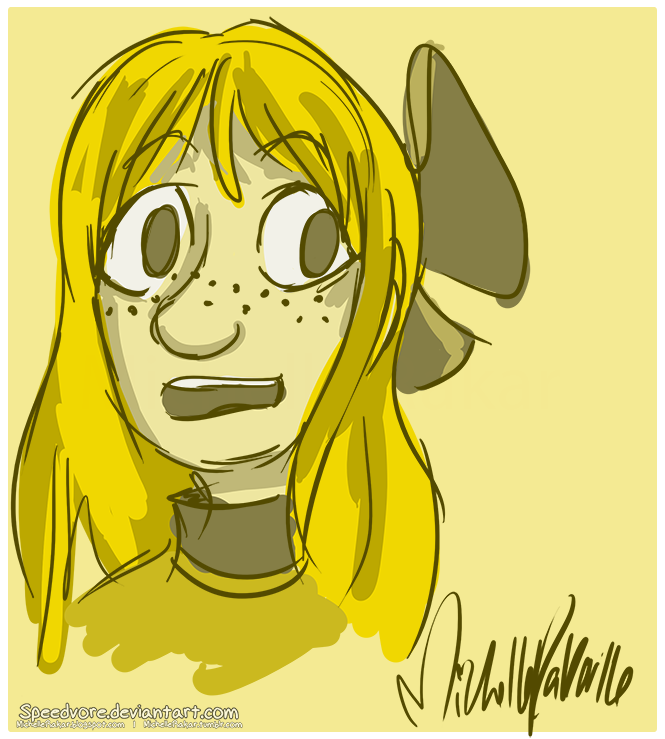 This year I'm gonna do something slightly different than last year, though. I'm gonna choose 1-2 characters that have a lot of that color, and then make a quick little sketch of them only using that hue! They've been a bit of a challenge, not using any other colors, but I think it's a healthy challenge. 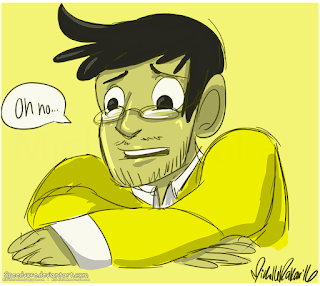 I'm also trying out NaNoWriMo again on one of my side tumblr blogs, but that one's mostly just for fun. 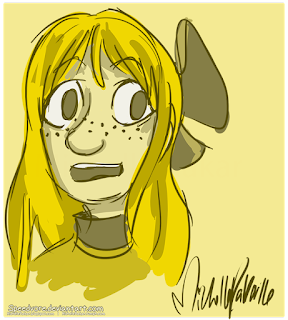 Side not: Just realized all three of these yellow ones are related/friends with Scott. I guess since Scott's favorite color is yellow, that's just how things turned out, haha. I almost drew him the same day as Jennie actually, but that was a rushed day.